New York City’s PREMIER Mobile Video Game Truck serving Brooklyn, Queens and Long Island! We can entertain them all! From Xbox, Playstatation and Wii! Our selection is perfect for all age groups! Book your Rockin' Mobile Game Theater party today! 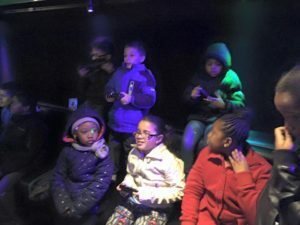 Rockin’ Mobile Game Theater brings New York City’s ultimate Video Game Truck party on wheels right to your front door! Our luxury, limo-style rolling video games theater on wheels features SEVEN widescreen high-definition TVs, surround sound and multiplayer gaming heaven! 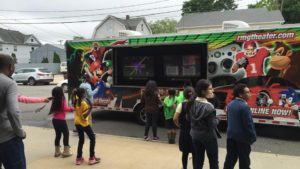 20 can play at the same time inside our amazing video game truck, and 8 more can play outside (weather permitting) on our two huge exterior HDTV’s! We can fit the whole crowd…stadium-style seating allows up to 28 guests inside! We have the greatest games from XBox 360 and XBox One, Wii and Wii U, and Playstation 4! Summer or Winter, day or night, it’s always comfortable in here…we are climate controlled, and with our on-board generator, we’re self-powered, too! Our Game Coach will make sure the kids have a blast and the parents get a break! Our amazing mobile video game trailer will blow your guests away! We have the best birthday party idea in all of Brooklyn, Queens and Long Island! 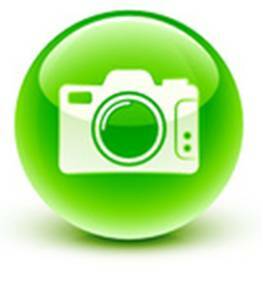 Our availability is built right into our Booking Program. You’ll be able to check the dates and times that are available before committing to anything! We make it easy to have the most amazing video game truck party in the New York City area. Browse our web site, then click the button below to check your dates and times and reserve your party! Check out Mirror Masters Photo Booth…an interactive photo booth for the ultimate “selfies” anywhere! Don’t see your town/city on this list? Contact us and see if we can come to you! The BEST Party Idea in Brooklyn, Queens & Long Island! We bring the Ultimate Gaming experience right to your front door! Our luxury, limo-style theater on wheels features 5 HUGE High-Definition Televisions inside! 20 players can play at one time. Our Game Bus also has TWO MORE incredible hi-def screens outside, allowing (weather permitting) 28 to play at once! Surround sound, Stadium Seating and our amazing "Action Station" enhances the fun. This is multiplayer gaming heaven! We have all the latest titles from XBox One, XBox 360, Playstation 4, Wii, and Wii U. Planning a Summer or Winter Party? We are climate controlled! Our Game Coaches will make sure the kids have a blast and the parents get a break! Awesome Mobile Video Game Truck Birthday Party in Brooklyn!